Giv'em a brake sign on NB I-35/Kansas Turnpike near the Oklahoma/Kansas State Line. 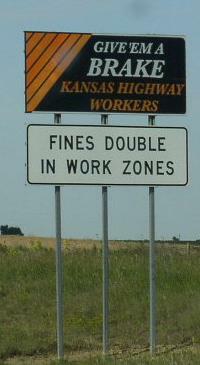 A common sign found along the Kansas Turnpike. 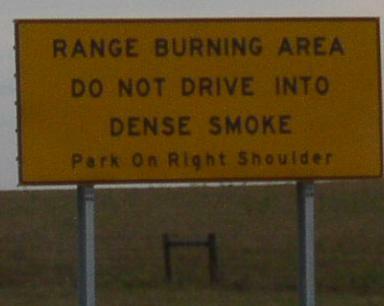 This sign fourn in Rural Chase County. 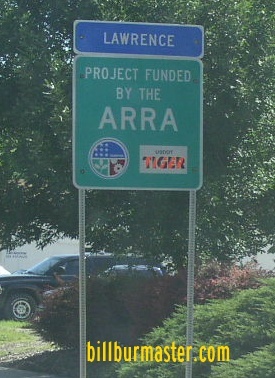 A Recovery Act project sign on WB U.S. Rt. 40/SB U.S. Rt. 59 in Lawrence.